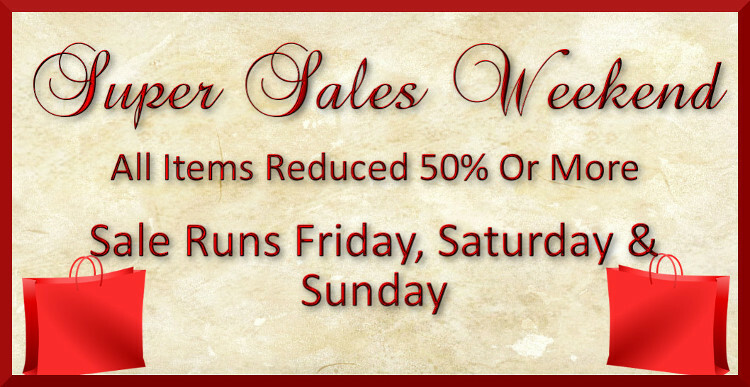 Super Sales Weekend is a weekly sales event that brings together great stores with creative merchants and new customers. Items will be on sale for 50% off. Merchants and creators of all types are welcome to join us. There is no weekly theme and no limitations to what you may sell. Furniture, skins, clothing, home items, goth, vampire, Gor, adult, hair, textures, full perm items, animations, small avatars, tinies are welcome. Are you a marketplace only store? Or a small store with no room to add a sales area? We have a solution for you too. You can now submit marketplace items. That's right, we now have a home for marketplace items. Keep reading. To be part of SSW there is no restrictions on the items you can submit. New, old, just for us. Doesn't matter, all are welcome. You can resubmit old items. Please wait at least 4 weeks between resubmissions. Also, there is no price restriction as long as you are at least 50% off on sale. You can go lower if you wish. 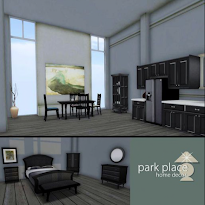 All stores on all sims will be included in the sale. PG, Mature and Adult. Adult sims and items will be clearly marked on the list. Adult pictures must have a discreet mark over openly shown adult body parts on the blog, due to the fact that people can not opt to not see those photos. Submissions will be accepted from noon on Friday until noon on Thursday. Submissions will be 75L a week and can include up to 4 pictures. No exceptions, unless prior arrangements have been made. There is no need to participate every week. We do ask that you participate at least every 60 days. Even when you don't submit an ad, please send the list out to your groups. SSW will start 12:01 am SLT Friday and run until 11:59 pm on Sunday. Items must be out and on sale for the duration of the event. Failure to do so will result in being removed from the sale. Only serious merchants should apply. Joining and then never sending in a card will result in you being removed from the group and not allowed to apply again. If you need to be inactive for longer than 60 days it is your responsibility to let the organizers know. Failure to communicate will be taken as you no longer wish to participate in the sale. ☞ Each week a random featured store will be picked by the staff of SSW. That store will get the second spot on the list. They will have a free week's submission. ☞ Once a month a store will be picked by popular vote, both customer and other merchants in the sale. That merchant will get top spot on the list for the month. That month's submissions will be free. Every merchant will have notice rights in the customer group. No more than 3 notices per week, please. No chat spam will be allowed at all. If you go inactive more than 30 days notice rights will be removed. Each year we do a Black Friday list and a Christmas hunt. Participation is optional. You knew there had to be a few. ☞ No Business In A Box or resellers. 75% of your store's inventory must be created by your or staff creators. ☞ No spamming of the groups. ☞ You will need to put out a group subscriber and foot path to help customers find your sales area. ☞ One store location per submission. No more than 4 stores per owner. ☞ Send submission notecards Full Perms. ☞ Whether your submit or not please send the sale's list to your group. 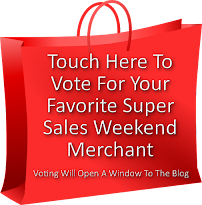 ☞ You or an often checked alt MUST be in the merchant group to get the list each week. Customer group is not required for merchants. You can add an alt to advertise for you. If you leave the merchants group you are considered dropped from the sales and will need to reapply. ☞ You must friend the list avatar so that you can be found quickly and easily if there is a question about your listing. ☞ Don't place the same items for sale each week. Please wait 4 weeks between re-submissions. ☞ Please make ads. Do not just send in an SL photo. Ads are more eye catching, look more professional and will draw the attention of new customers. ☞ Please cover naughty bits in adult photos. If you forget we will not add the photo to the blog. Adult listings will be clearly marked in the list. ☞Marketplace stores-Lower the price on marketplace. Then in the item description please state that it's on sale for Super Sales Weekend. The dates it will be on sale and what the regular price is. Also, please let them know that they can visit Super Sales Headquarters and join the subscriber to keep up with the weekly list. ☞-You can only be in one or the other. You can't submit a store location and a marketplace location. Please only apply for one. ☞Marketplace-you need a good variety of items for sale. At least 25 items listed. ☞If you join the group and don't send in a notecard within two weeks of joining you will be removed. ☞Keep group notices and chat turned on or be sure to check them daily. We don't spam the group but important messages can be missed when notices aren't seen. Most notices are sent on Wed, Thurs and Friday. Information and applications are in the shopping bag located on the desk.